Guilt is defined as a feeling of responsibility or remorse for some offense, failure, mistake, crime, or wrong, whether real or imagined. It is associated with negative feelings such as shame, remorse, anguish, torment, self-condemnation, self-unforgiveness, self-judgment and in extreme cases, severe depression. The following are marks of guilty feelings for both real and imaginary guilt. Their intensity may vary from individual to individual. Some signs may also be absent in one person while present in another. It’s merely a basic list of signs associated with feelings of guilt. It is adapted from James A. Fowler’s article on guilt, Christ in You Ministries (ChristInYou.net). There are two types of guilt: genuine guilt and false or imaginary guilt. Genuine guilt arises after a real violation of one’s moral beliefs. In our case as Christians it arises after a real violation of God’s biblical tenets and principles. Imaginary guilt on the other hand, arises from imaginary or illusory violations of one’s moral beliefs. The individual actually feels guilty without committing any violation. In the secular professions this type of guilt is considered among categories of mental illness and is also classified as an anxiety disorder. 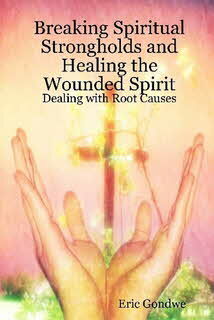 From our Christian perspective they are aspects of a wounded spirit. It is rare to come across committed Christians suffering from imaginary guilt. A rare or once in a lifetime experience is no cause for alarm. Certain experiences in life can cause our emotions to go astray. An example of a rare experience of an imaginary guilt is one I once faced. It lasted about four months. It was way before the Lord revealed principles being shared in this book. I began feeling guilty of wrong decisions a dear person made. The wrong decisions brought more trouble to the individual and for some reason I felt it was my fault. It was so agonizing carrying the blame. My friends were puzzled by this. No matter what they said it made little sense. Some experiences the Lord allows us to go through their entire process before receiving deliverance. “When you pass through the waters, I will be with you; and when you pass through the rivers, they will not sweep over you. When you walk through the fire, you will not be burned; the flames will not set you ablaze,” Isaiah 43:2. How did I receive deliverance? Through prayer. I used to constantly bring the matters I felt responsible for before the Lord. Eventually he answered saying I was not responsible for the actions of another individual. And even if I was one prayer was enough to clear me from the debt and receive his forgiveness. It didn’t come from an actual voice of God. If you’re waiting to hear an audible voice from God it’d really be helpful if you read my book titled, Hearing the Voice of God and Fulfilling God's Purpose for Your Life. He speaks or relates to us in different ways and at different times. God spoke to me in a way that I got the truth on the matter and received freedom by knowing the truth. All the guilt, anguish, torment, self-condemnation vanished. Genuine guilt or true guilt is healthy to a certain level. Genuine guilt is the emotional voice response from our conscience that enables us to stay or get back to behaving in a manner consistent with our beliefs and values. When we think or attempt to say or to do something contrary to our conscience a sense of guilt wells up in us condemning us and insisting to do or say the right thing. The Holy Spirit uses the conscience to convict us if we attempt to stray or end up straying from God’s word. Most people have a working conscience. This is the case even for non-Christians. It’s just that unbelievers do not have the extra backing of the Holy Spirit to convict their conscience if they attempt to stray or end up straying from what’s right. Some people do not have a healthy conscience. The bible speaks of people “whose consciences have been seared as with a hot iron,” 1 Timothy 4: 2. A person with a seared conscience or burnt conscience does not feel guilty for doing wrong. He cares little about other people’s interests and primarily only thinks about his interests. The conscience becomes seared when inner convictions of right and wrong are rejected on a constant basis that an individual blunts the conscience. It becomes dull or deadened. The conscience grows weaker and more silent in the individual. It becomes ineffectual. The person ends up experiencing little to no guilt for any wrong thoughts, words or actions. Many things can potentially harm the conscience. Chief among them is the love of money. A person may love money and its temporal rewards so much that he/she is willing to compromise even his basic human values to attain it. Thus the conscience helps us to realize genuine guilt. We have also seen how important and healthy experiencing genuine guilt is. Beyond the healthy level of genuine guilt is the unhealthy level. This is where an individual feels constantly guilty over past wrongs, failures and sins. Some refer to individuals nursing guilt and self-condemnation over past flaws as having an overactive conscience. An overactive conscience is the opposite of a seared conscience. A seared conscience is a dead conscience whereas an overactive conscience is excessively diligent. It is picky, unforgiving, naggy, hard to please and constantly brings up the bad past to torment the person. Doesn’t this sound like demonic influence? How does a believer end up succumbing to such demonic influence bringing such torment? Unbelievers may have less protection since their sins have not yet been taken by Christ. A believer on the other has redemption through Christ. Why still playing the record of the bad past that’s been erased in heaven? The main answer lies in the word ego. Ego from its basic academic definition means the self, me, I, or will part of each one of us. You’ll see shortly why we need to use some of this secular academic theory and terminology. As said earlier, there is nothing wrong or sinful about the secular academic world in its non-infiltrated context. It’s matters that contradict or undermine the bible that are no, no for us. The ego is a big makeup of an individual’s personality (according to the psychodynamic theorists in psychology who assert that personality is composed of three structures: the id (our impulses), the ego (self, me, will), and the superego (our conscience)). The ego wills, chooses and makes decisions based on its perceived inner realities (influences from the id and influences from the superego) and based on its perceived outer realities. For a believer, the ego is not expected to be willing, choosing and making decisions based on its own nature and faculties. It is expected to operate under the influence of the Holy Spirit and subjection to the statutes of God’s word. This is where the problem arises in regard to guilt. The individual is influenced by his/her own inner impulses and perceptions instead of being influenced by the Holy Spirit and by the tenets of God’s word. In fact among Christians the ego is being redefined as an abbreviation for Easing God Out. I believe this a better definition than the complex psychoanalytical term. An individual being influenced by his/her own ego impulses is therefore easing God out of his/her perceptions, decisions and actions. Instead of God being in control the self is. This is natural for a non-believer but unnatural for a Christian. A believer is expected to naturally allow God to be the one in control - through the Holy Spirit who dwells in us and through his word that is our instruction manual. If a Christian is not he/she is said to be misaligned or in disequilibrium. It’s stressful living in a misaligned state. It’s also grieving the Holy Spirit. We strive to be well aligned or in equilibrium with God when we’re striving to live according to his word. The bible is said to be an abbreviation for Basic Instructions Before Leaving Earth (B.I.B.L.E). It an instruction manual for our lives. What does God’s word, the bible, say about our past sins and wrongs? * “Thanks be to God--through Jesus Christ our Lord… Therefore, there is now no condemnation for those who are in Christ Jesus,” Romans 7:25; 8:1. * “I write to you, dear children, because your sins have been forgiven on account of his name,” 1 John 2:12. * “In him we have redemption through his blood, the forgiveness of sins, in accordance with the riches of God's grace that he lavished on us with all wisdom and understanding,” Ephesians 1:7-8. * “He himself bore our sins in his body on the tree, so that we might die to sins and live for righteousness; by his wounds you have been healed,” 1 Peter 2:24. * “Therefore, since we have been justified through faith, we have peace with God through our Lord Jesus Christ,” Romans 5:1. * “For if, when we were God's enemies, we were reconciled to him through the death of his Son, how much more, having been reconciled, shall we be saved through his life!” Romans 5:10. * “And we know that in all things (good and bad) God works for the good of those who love him, who have been called according to his purpose,” Romans 8:28 (emphasis added). * "Come to me, all you who are weary and burdened, and I will give you rest,” Matthew 11:28. “Since we have now been justified by his blood, how much more shall we be saved from God's wrath through him!” Romans 5:9. * “Because of the Lord’s great love we are not consumed, for his com-passions never fail. They are new every morning; great is your faithfulness …” Lament. 3: 22-23. * “Blessed is the man whose sin the Lord does not count against him and in whose spirit is no deceit. When I kept silent, my bones wasted away through my groaning all day long. For day and night your hand (of judgment) was heavy upon me; my strength was sapped as in the heat of summer. Then I acknowledged my sin to you and did not cover up my iniquity. I said, "I will confess my transgressions to the Lord"-- and you forgave the guilt of my sin,” Psalm 32:1-5 (emphasis added). A lot of the wonderful scriptures on God’s forgiveness were written by Paul in the New Testament. In the Old Testament many were written by David. Guess what these two have in common? They were once murderers. Paul was instrumental in the stoning of Steven and in terrorizing the early church. David engineered the murder of an innocent man, Uriah, so that he could add Uriah’s wife, Bathsheba, to his many other ones. He also had so much blood on his hands from numerous wars he fought throughout his long reign. If your past is not as tainted as Paul’s or David’s then it is not fair on yourself to harbor guilt and self-condemnation. Even if it was as tainted or worse off you’d still be able to receive God’s forgiveness. He forgives all (not some of) of our iniquity (Psalms 103:1-3). Both David and Paul did not allow the iniquity of their past to torment their lives. They moved on by allowing the mercy of God to reign in their lives. They did not ego God out of their lives. After God forgave their iniquities they also proceeded to forgive themselves. If guilt from past wrongs is still tormenting you it means you’re easing God out of your life? You’re embracing your own perspective over the matters instead of God’s perspective. Overcoming the guilt or healing from guilt will come after you ease God’s perspective into your life. Maybe you know about the scriptures on God’s mercies but still are unable to let go. It is worth constantly meditating on these scriptures until you feel released from the past wrongs. By meditating on scriptures I mean reading and pondering the deep meaning of the scriptures in relation to God’s will. It’s not some blanking out trance and mindless activity. Such activities are called transcendental meditation (TM). They also include mindless repetition of words or mantras. Stay away from such. Some fasting may be worthwhile. Fasting plays a powerful role in our lives, including spiritual detoxification. Through fasting we’re able to walk so closely with God that we become spiritually in tune with him. Through such closeness he reveals garbage we may be carrying. He also enables us to easily cooperate with him in cleaning out this garbage of wrong beliefs, mental strongholds, emotional strongholds, behavioral strongholds, and so on. Thus it’s embracing the truth or true perspective on the past from God’s word that brings freedom. The key is constantly meditating on scriptures, such as the ones given above, until the scriptures on God’s perspective over past wrongs truly become alive in your life. “Do not let this Book of the Law depart from your mouth; meditate on it day and night, so that you may be careful to do everything written in it. Then you will be prosperous and successful. Have I not commanded you? Be strong and courageous. Do not be terrified; do not be discouraged, for the Lord your God will be with you wherever you go,” Joshua 1:8-9. Once you feel released from the condemnation of the past wrongs it means you have successfully enabled the perspective of God’s word to influence your view over past wrongs. It also means you have overcome the demonic influence that was using the past wrongs to bring torment. Satan rejoices when we’re down and defeated by circumstances. The following are the most common experiences that result in unhealthy guilt or unscriptural guilt. Notice that it’s mainly among normal people in society. It’s not from among most hardhearted criminals, drug traffickers, human body parts traffickers, child prostitution traffickers, business executives exploiting employees or consumers, and so on. Most of such hardhearted people have seared their conscience and thus are unable to have any feelings of guilt. There is still hope for them to return to God and heal their seared conscience. It is those with a conscience that experience unhealthy guilt from the past. It is my prayer that the biblical info shared in this chapter on overcoming guilt will bring the liberating truth. “You will know the truth, and the truth will set you free,” John 8:32. It may be worth acquiring more information from other sources if necessary. There are many ministries, books, and other resources on specific sources of unhealthy guilt. It may be worth fully utilizing local library, church library and internet sources. For example, on abortion there is a wonderful ministry called Love From Above Inc (LoveFromAboveInc.com). It was founded by Yvonne Florczak-Seeman who had five abortions before she was twenty years old. She suffered years later from devastating emotional consequences until she received salvation. Her salvation was her path to receiving God’s deliverance and healing.